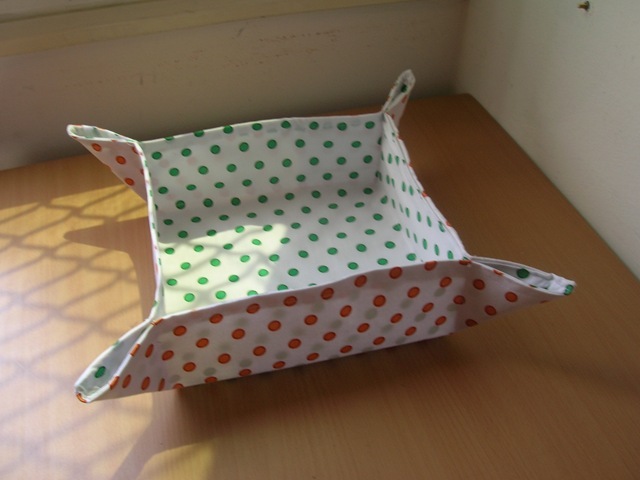 I found this cloth tray very practical and easy to sew…. So I decided to make it immediately. 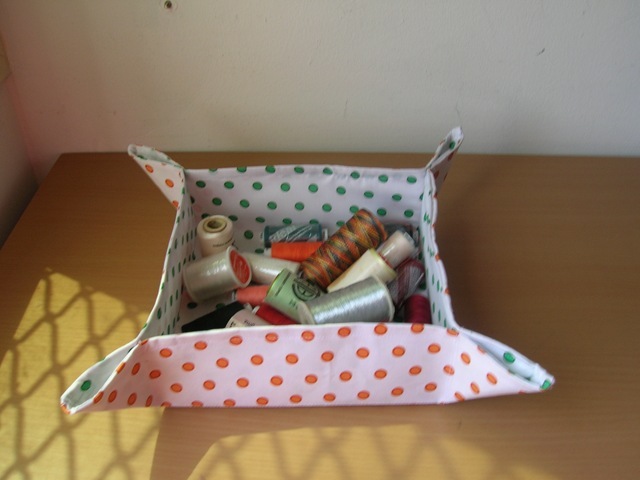 As it is I was trying to organize my sewing stuff and this is perfect to keep my threads, rick-racks etc in a proper manner in my cupboard shelves. 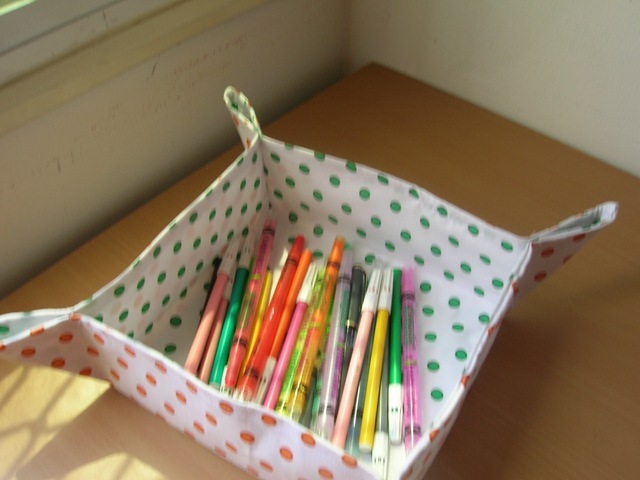 This can also be used to organize your children’s stuff. Like shown in this picture…. 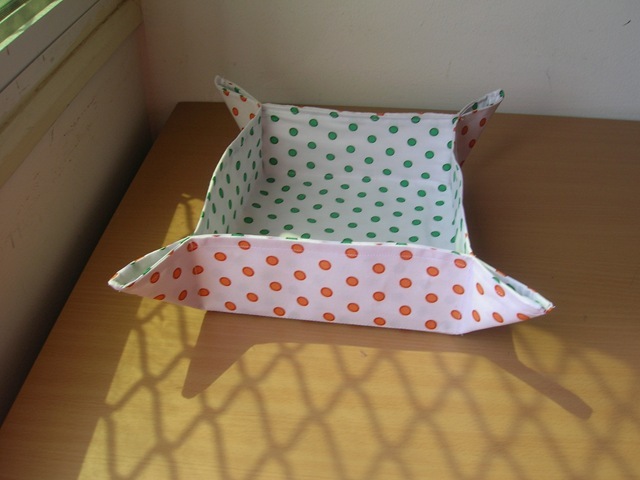 Some more close ups of the utility tray… I have used interfacing, instead of fusible fleece, and two different colour polka dots fabric. I am happy with the outcome. Anyone interested can get the tutorial from Mad Quilter. Till next time its Bye from me. Thanks Nima, and I cant wait to show you.